Many organizations setup multiple companies within Microsoft Dynamics GP for various reasons. Over time, business requirements change and there is a need to consolidate the companies into a single company to make accounting activities more efficient. Prior to the introduction of Company Combiner, organizations had to re-implement Microsoft Dynamics GP, use expensive outsourced services or continue with all of the extra companies. 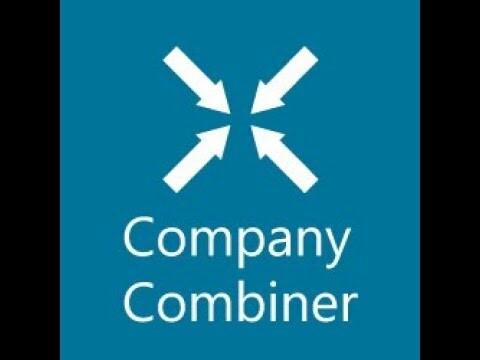 With Company Combiner, there is a repeatable and affordable alternative. Company Combiner gives organizations the ability to change their Microsoft Dynamics GP setup. With Company Combiner, multiple companies with the same chart of accounts can be combined into a single company. During our process, an additional segment can be added to identify the originating company making reporting and analytics easier. After using CRG Company Combiner, organizations are able to easily manage all the companies that they setup in Microsoft Dynamics GP from a single company. Company Combiner is also an effective precursor to deploying the Multi-Entity Management solution from Binary Stream. There are currently no reviews of Company Combiner. Save Time & Reduce Risk: Company Combiner will reduce the risks and time of manually joining companies together. The systematic method ensures a repeatable process for each company. The automation eliminates the chance of errors or transposition normally found when re-keying information. Gain Efficiencies: Using a single company will make your accounting activities more efficient. There will no longer be a need to process transactions in multiple companies or perform consolidations for reporting purposes. A single company will help eliminate duplication of information and improve communications with your customers and vendors. CRG provides the software tool and services to ensure that when you use Company Combiner, you get the results that you expect, the first time. Below are some frequently asked questions for Company Combiner. Q. What type of pricing plans does Company Combiner offer? Q. Who are the typical users of Company Combiner? Q. What languages does Company Combiner support? Q. Does Company Combiner support mobile devices? Q. Does Company Combiner offer an API? No, Company Combiner does not have an API available. Q. What other apps does Company Combiner integrate with? Q. What level of support does Company Combiner offer?